Hello there! This is my very first post in this Japanesense ​ blog and starting from this post I’m going to cover about the Indonesian related things that we can find in the Japanese Pop Culture. What I mean by Japanese Pop Culture are the things like manga, anime, game, etc. Maybe most of us don’t realize that there are a lot of things that related to Indonesia that are used in the Japanese Pop Culture. However, if we look more into it, we can find a lot of those Indonesian related things. 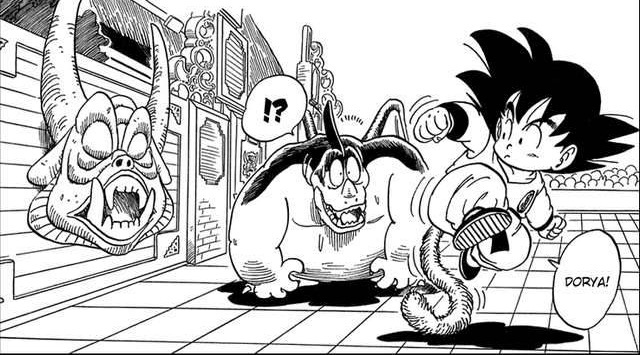 In this post, we are covering the Indonesian related things in a japanese manga, Dragon Ball. 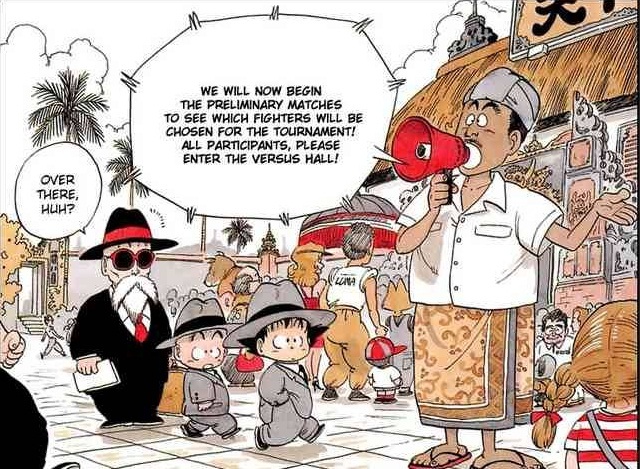 We will also cover the Indonesian related things in One Piece, Harlem Beat, The Strongest Disciple Kenichi and some of the Japanese games in the later posts. So, let’s check it out!!! The first manga that we’ll look into is the all time favorite, Dragon Ball!!! This is the first manga that I’ve ever read, and maybe most of you are also the same. I guess I don’t have to explain more about this manga, do I. However I’ll give you a quick review about this manga. Dragon Ball is a Japanese manga series written and illustrated by Akira Toriyama. The story of Dragon Ball is about a boy named Son Goku, who travels around the world to look for dragon balls which can make your wish come true if you can gather the 7 balls. But, along the way Goku will face a lot of enemies, whether those who originated from the earth or those who’re from the other planets. 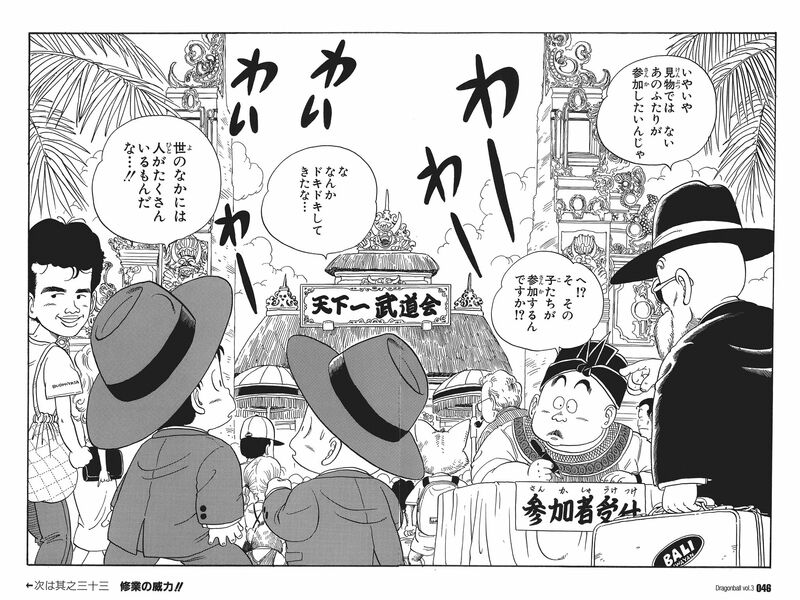 Dragon Ball was first serialized in Shounen Jump magazine in 1984 and the serial continues until 1995. Dragon Ball was also adapted into anime series and in 1996 the story continues to Dragon Ball GT, even though it’s not Akira Toriyama who made the story. The design of the gates and building is taken from Bali. Bali itself is a name of an island in the Indonesia. Bali’s name is famous and well known in the world because of the beautiful beach and the relax atmosphere that we can find there. 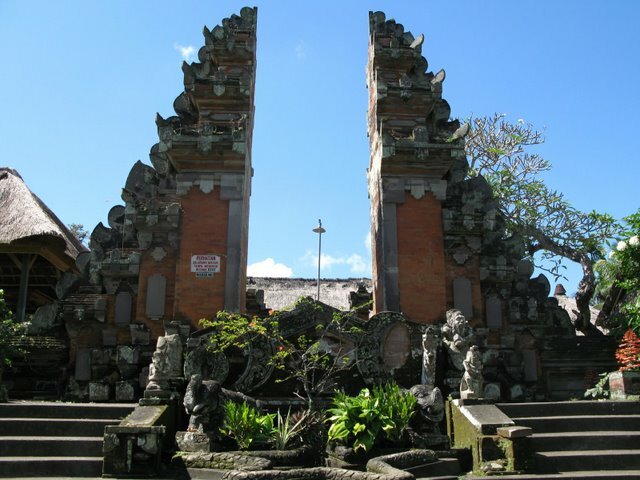 The picture below it shows the original gates that we can see in Bali. It’s similar isn’t it? However, that’s not the only thing that we can find in this manga. The other Indonesian related thing that we can find in this manga is the clothes worn by the Tenka-ichi Budokai’s officials. Here the picture of it..
Just take a look at the thing that looks like a scarf that’s worn the the official who’s talking on that picture. It’s similar with the scarfs that are worn by three peoples on the next picture, right? Maybe the only different thing is the way they wear it. 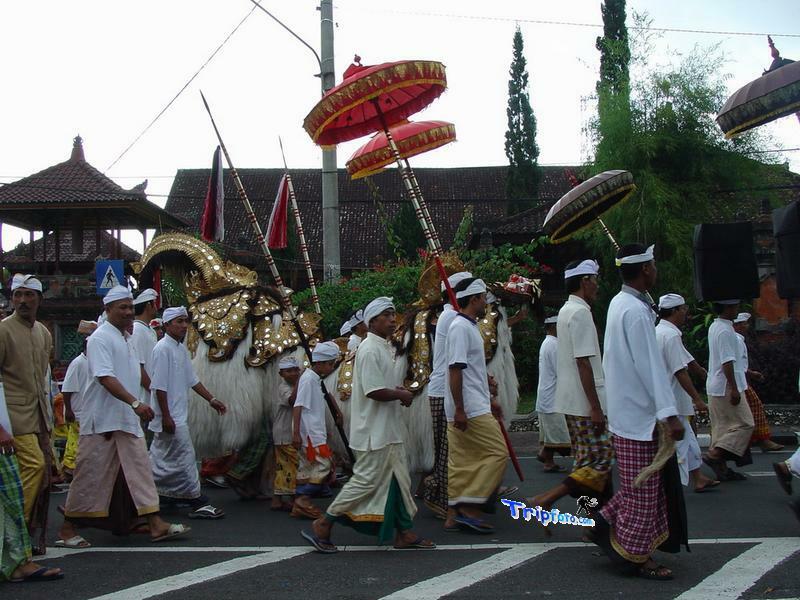 Those scarf looking things are one of the Indonesian traditional clothing and the name is sarung. 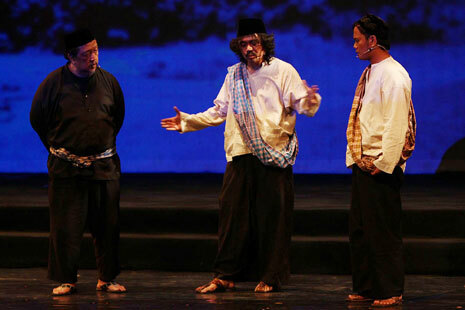 The hat that is worn by the official is an Indonesian traditional clothing as well, called peci. And here’s another picture of it.. The clothes that are worn by the official on the picture above is similar with clothes worn by those people. Those clothes are one of Bali traditional clothes. You will find a lot of Bali people wearing it if you come to Bali later. 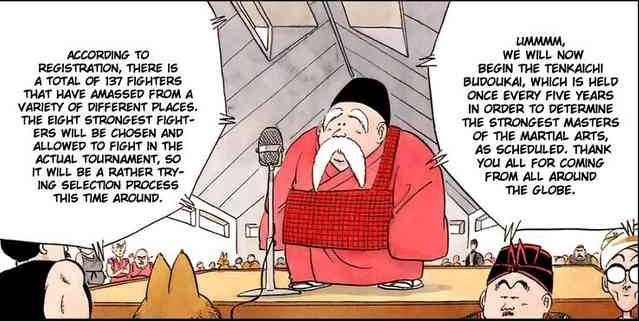 The last Indonesian related thing that I got from Dragon Ball is the barong symbol which we can find on the wall beside the arena of the Tenka Ichi-budokai. Here’s the picture..
Barong is the symbol where we can see on the left of the upper picture, the one that’s on the wall. 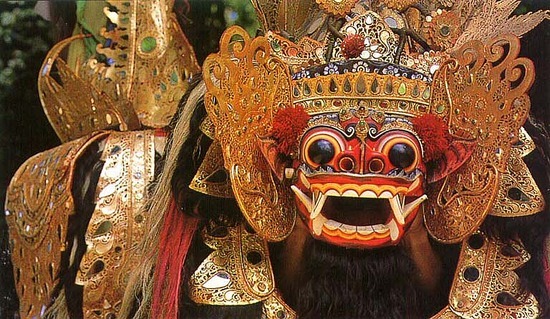 Barong itself is a lion-like character in the mythology of Bali. Actually, Barong is often used in many of the others Japanese pop culture as well. 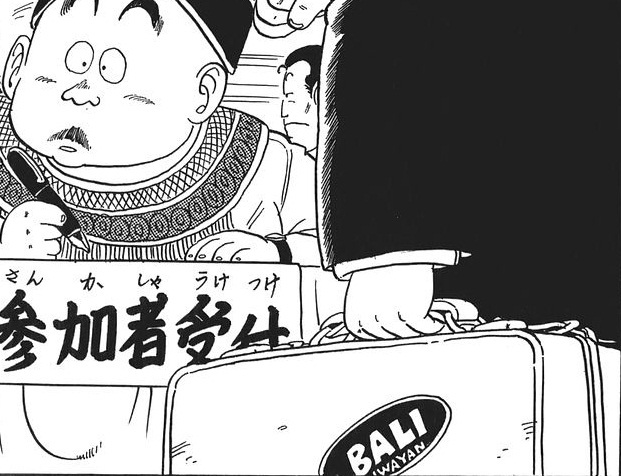 I guess, that’s all of the Indonesian related things that we can find in Dragon Ball, but we can still find a lot of Indonesian related in things in other mangas. So, keep on following this blog to find other interesting articles! baguslah kalau kamu mengerti nak,ha6. Bisaan maneh… Hahahahaha! Sip2, good start bray! Keep It up!! whoaaa manga legendaris! cerita lama, info baru! nice post! ternyata mereka (Japs) masih “ngeliat” dan mau ngiklanin Indonesia walau pernah jajah. great article ran! dragon ball is my childhood but I just realize this now. keep writing on new posts ya! Such a small detail that captured by the reader, tulisan yang menarik,teruskan! Yeah, one of my reason choosing dragon ball as the first article because Dragon Ball is part of our childhood memories, isn’t it? Dragonball ia my first manga i read.. I already notice that bali thing since i was in junior high..
Maybe many people still out there don’t notice it. Wait for your next review bro. btw tari kecak itu dari bali bukan? CMIIW. tari kecak sempet dingomongin sama member AKB48 loh, tari kecak itu dipakai semacam untuk wotagei (yang dimana kepanjangan kalo lu suruh gw jelasin disini hahaha). Iya bener, tari kecak emang dari Bali Van. keren meen, ga nyangka ternyata ada yang gini ginian. indonesia gaul juga kali yah?